Venetian Talmudist of the eighteenth century; descendant of a prominent Palestinian family. 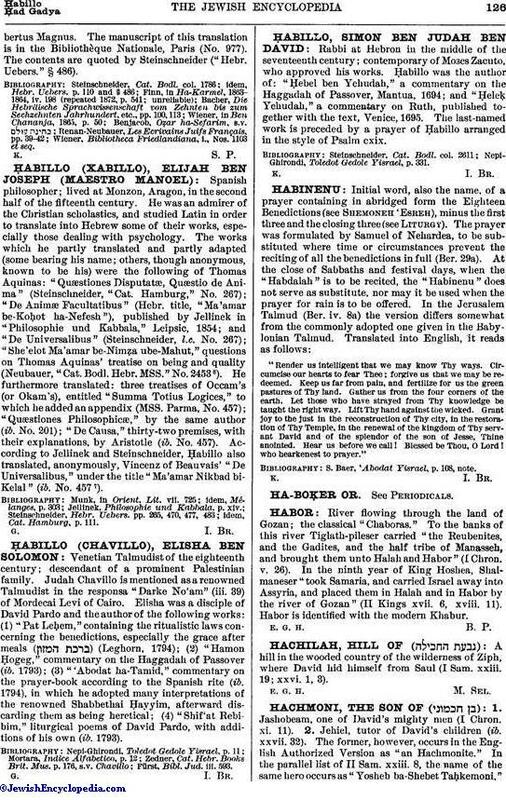 Judah Chavillo is mentioned as a renowned Talmudist in the responsa "Darke No'am" (iii. 39) of Mordecai Levi of Cairo. Elisha was a disciple of David Pardo and the author of the following works: (1) "Pat Leḥem," containing the ritualistic laws concerning the benedictions, especially the grace after meals ( ) (Leghorn, 1794); (2) "Hamon Ḥogeg," commentary on the Haggadah of Passover (ib. 1793); (3) "'Abodat ha-Tamid," commentary on the prayer-book according to the Spanish rite (ib. 1794), in which he adopted many interpretations of the renowned Shabbethai Ḥayyim, afterward discarding them as being heretical; (4) "Shif'at Rebibim," liturgical poems of David Pardo, with additions of his own (ib. 1793). Fürst, Bibl. Jud. iii. 593.